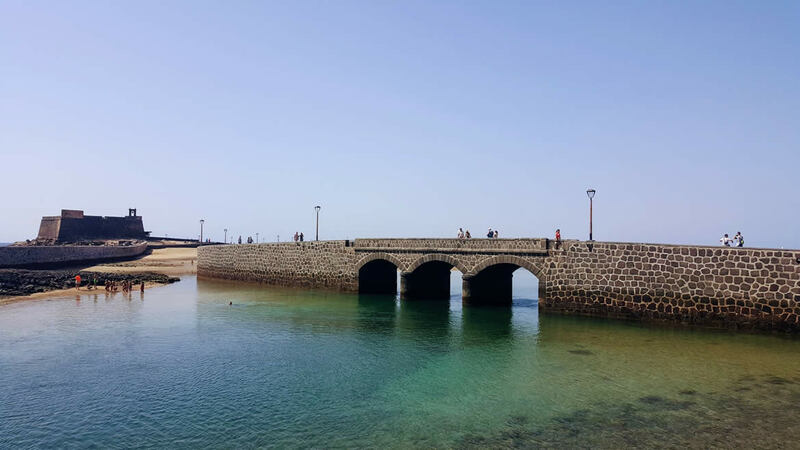 Arrecife is the capital of Lanzarote and you can easily spend at least half a day walking around the city. 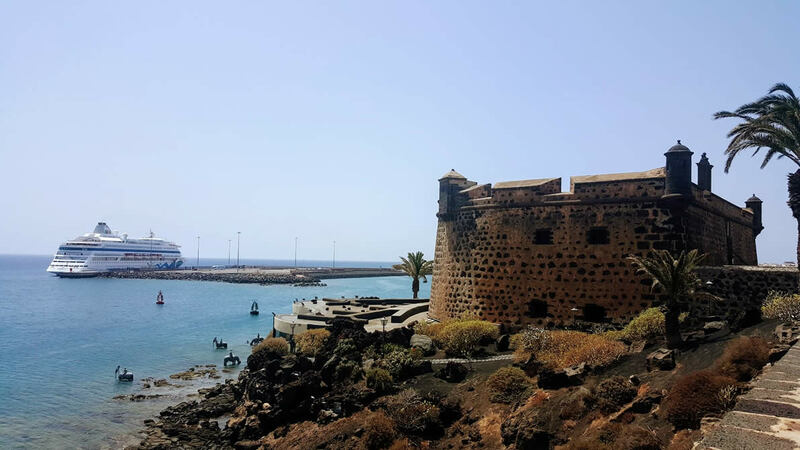 There are plenty of things to do in Arrecife, from going to local markets to visiting an art museum situated in an old stone fortress. The market in Arrecife is held every Saturday and here you can find everything from local food to souvenirs. It's a smaller market that the market in Teguise, but it's less crowded also. Parking is still difficult, since the city has lots of narrow streets and you will have to find a paid parking place for 2-3 euros. Castillo de San Gabriel was originally build as a wooden fortress and was then rebuild as a stone castle, after pirates had burnt it down. It is located on an island called Islet of the English and it will offer you a gorgeous view over the Atlantic. The waters surrounding it are of turquoise color, very calm and shallow, especially during low tide. The walk around Castillo de San Gabriel is very pleasant and you can admire the place and the views. Also, if you wish, you can visit the Museum of History for Arrecife, which is hosted inside the fortess. A visit at the Museo Internacional de Arte Contemporáneo, MIAC-Castillo de San José is a must if you have a passion for art. The museum is the result of a collaboration between the Cabildo and Cesar Manrique, so you will be following in his footsteps here. A complete visit takes around 1 hour. You will certainly enjoy also the gardens and the top terrace, with amazing sea views. Castillo de San Jose is actually a bit outside of city center, but even though you don't plan to visit the museum inside, you should still go for the views. 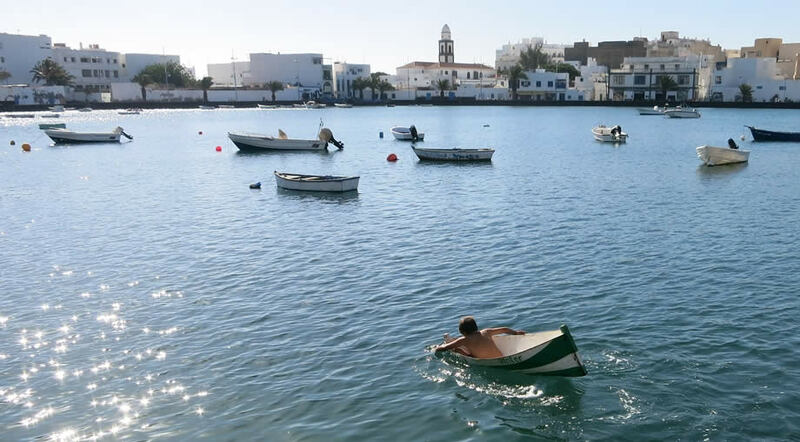 Charco San Gines is a lagoon of natural sea water, situated right in the heart of Arrecife. The area has a lovely vibe, with old buildings and a lot of fishing boats. There are some restaurants and cafes around Charco san Gines, or you can walk on the palm tree promenade, that will take you towards Castillo de San Gabriel. You could also stop for a visit at the Church of San Gines while in the area. 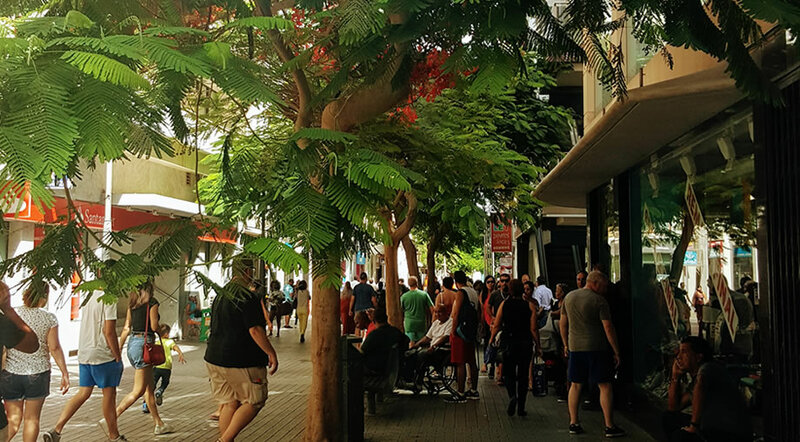 Arrecife is an old town and the pedestrian street in the center is quite lovely, full of small shops and cafes. You can join the locals and order a cafe and churros, for a well deserved break. If you love the Spanish lifestyle, laid back and relaxed, then a walk around the center and Charco san Gines is what you need. This is one of the best things to do in Arrecife, as it will give you the chance to sample the local lifestyle. If you want to do some shopping, then the Centro Comercial Marina Lanzarote is the best place you can come. You will find some local brands and also big international brands, a Hiperdino, rental car offices and also a food court. If you drive on the old road by the port Muelle de Los Marmoles, you will be able to see the remainders of a ship that was built in Dundee, Scotland in 1954. The ship was called Temple Hall when it was first launched, but it later changed owners and was renamed Telamon. 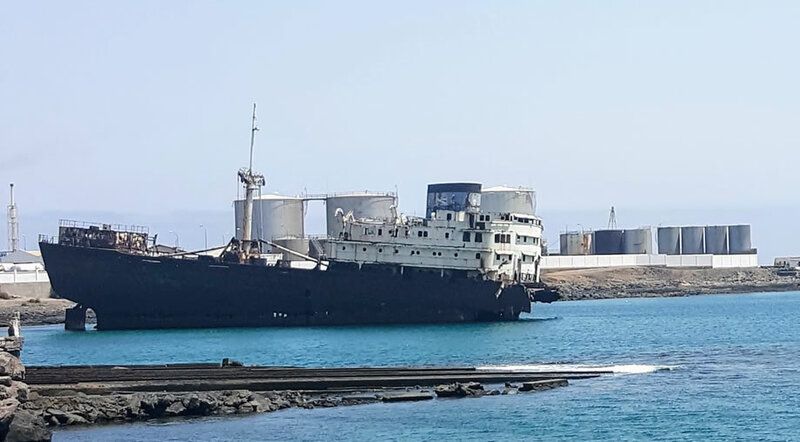 Many tourists come here just for the photos and you can easily enter by car in the industrial marina, in order to take better photos of the shipwreck. 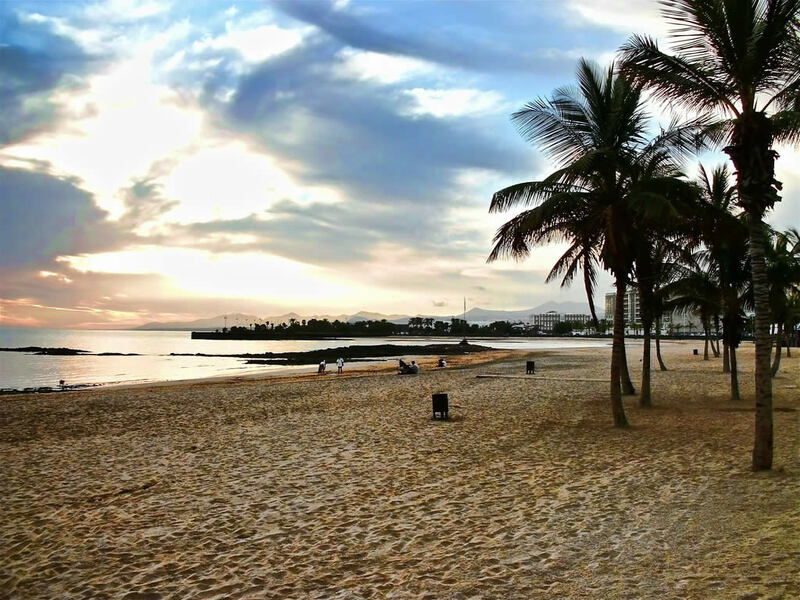 Playa del Reducto is the main beach in Arrecife, with golden sand and palm trees. The water here is very calm and good for swimming, since the beach is protected by natural reefs. Every year, sometimes between the months of February and March, there's a carnival in Arrecife and the entire town is celebrating. You can find more info about the Arrecife Carnival in 2018, regarding the dates, theme and other important information. The Arrecife Gran Hotel is the tallest building in Arrecife, and probably the tallest in all Lanzarote. It was built before Cesar Manrique but in place the height rule regarding new constructions, so that no building should be so tall that it obstructs the views of other building and becomes an eye sore for visitors. The restaurant on the top floor offers amazing views though, so if you come to visit Lanzarote you should go up there to have at least some cocktails, if not a proper lunch. The restaurant offers a gorgeous view of Playa del Reducto, especially during sunset, so it's a nice place to visit for a romantic date.